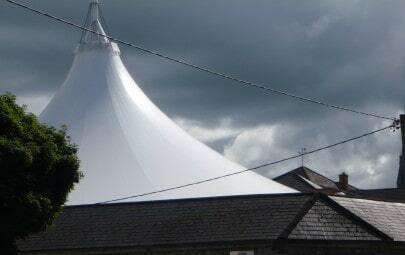 As part of the Millennium Domes re-branding as the O2, 101 inverted umbrella canopies were removed from the site to clear space for the entrance way. 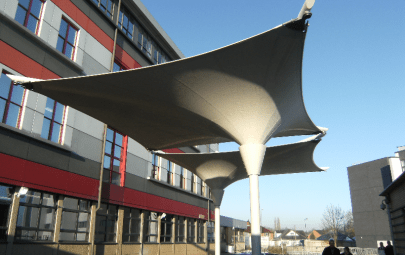 Under ten years old, the PTFE coated glass cloth structures were still in excellent condition, so Architen Landrell as the original manufacturers, set about finding new uses and locations for the redundant umbrellas. The first of these locations was the newly developed Piarco Airport in Port of Spain, Trinidad. 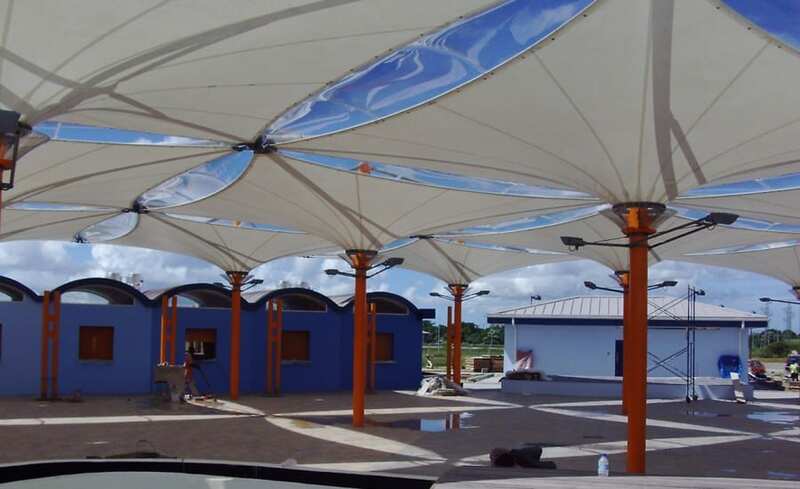 Having done a lot of work in the Caribbean market, Architen Landrell jumped at the chance to install 14 of the inverted cone structures as a shade canopy for a road side food court next to the main airport building. 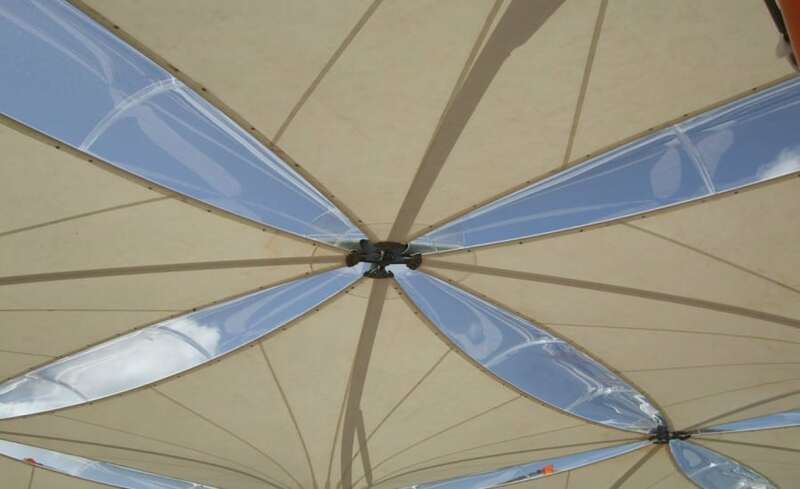 The PTFE membranes were in excellent condition and could be reused without any concern for the degradation of the fabric. 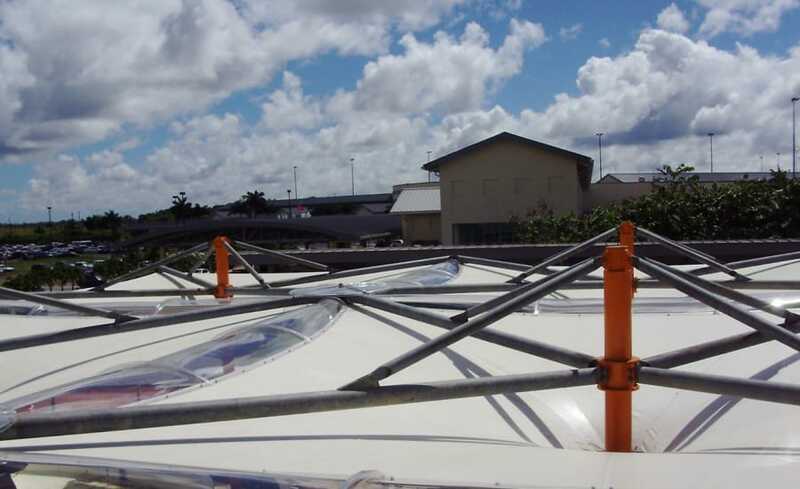 Inbuilt drainage and polycarbonate infill panels were also supplied from the original installation. 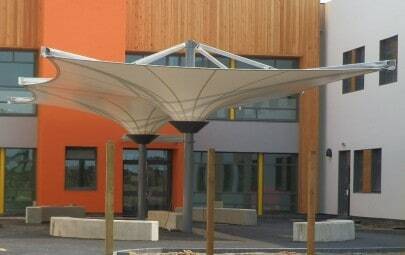 Due to the site and cost constraints the ability of Architen Landrell to use pre-owned canopies re-cycled from another project was fundamental in this project being undertaken. 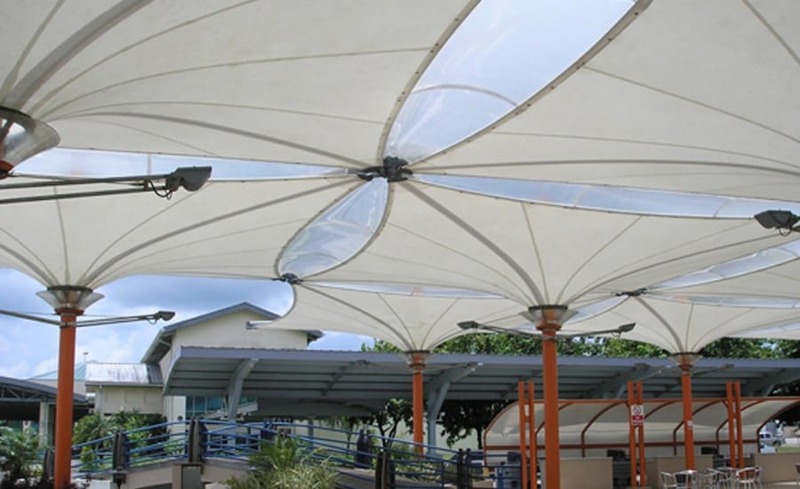 In addition to the relocated structures, Architen Landrell was also tasked with designing a PVC coated polyester walkway canopy to connect two buildings on the airport site. Architen Landrell provided simple fabric panels which clamped front and back to steelwork provided by others to achieve a functional and economical cover for commuters.